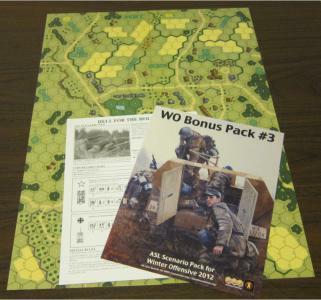 The Winter Offensive Bonus Pack #3 (WO3) is the third of a series of mini-packs released annually at the Winter Offensive ASL Tournament in Bowie, Maryland. Each pack typically contains one or two unmounted geomorphic maps and 2-3 scenarios. The highlight of WO3, of course, are the maps. Boards 64 and 65 are a bit unusual, in several respects. First, they are not purely “geomorphic.” Each map is geomorphic on three sides, but the fourth side of each map mates with the fourth side of the other, to create a sort of double-wide map. This is a technique that has been done several times before, though by third party publishers. Double-wide maps do considerably increase the flexibility that map artists have in creating and placing terrain formations, because such formations need not be bound by the narrow rectangular shape of a standard geomorphic board. However, it must be admitted that MMP was hardly very adventurous in this venture into the land of the double-wide. On the contrary, it used the double-wide for the most conservative depiction possible: portraying a village. Only a few fourth-side border hexes have terrain that crosses over from board to board, and most of these could have been slightly shifted such that there would be no crossover at all. In other words, with relatively little alteration, the same terrain could have been depicted with two fully geomorphic boards (in fact, MMP has done this in the past). This is in contrast to some of the more justifiable uses of double-wide boards, such as depicting large hills or woods masses, large water formations, major valleys, and the like. 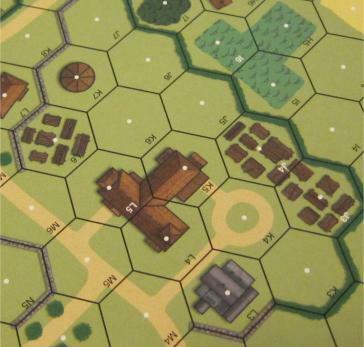 It’s a bit odd that MMP would choose this village of all potential subjects on which to base a double-wide board design. That said, what does the terrain look like? The two maps, attractively drawn, are very “busy.” The village is decent sized, with a number of multi-hex buildings (including 9 rowhouses). Most of the buildings are stone. There is a small hill in the middle of the village, and an odd little valley near one end. A larger valley sits off to one corner of the map, and on its other side is what appears to be a large manor. “North” of the village (if the numbered edges can be considered “north” for this purpose), are a large cluster of small hedge-wrapped farms. There’s one long gully on the map and a random spattering of woods. There’s one small factory, apparently intended to be a sawmill. Players may notice two odd terrain features. The first are manicured brush hexes. These are brush hexes that, instead of being “wild” and irregular, are ordered and rectangular. Apparently, they are intended to represent some sort of crop, perhaps some sort of produce, other than grain. The second feature is a single hex, hex 64K7, which depicts an anomalous round structure. It looks like, but is not, a tower (it has no stairwell). In response to questions from players, MMP has ruled that players should treat it as a one-level wooden building, even though the building rules (B23.1) clearly state that building hexes are hexes “containing one or more brown or gray rectangular overview building depictions.” What the artist actually intended it to represent is unclear. In any case, its inclusion is a bit sloppy. 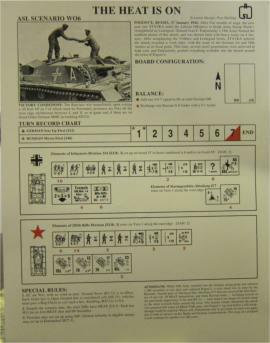 WO3 also comes with three scenarios, all designed by Pete Shelling. 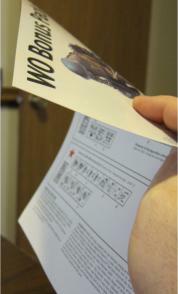 As has been the case with previous bonus packs, one of the scenarios is printed on the back of the product cover (meaning it is on a different type of paper). Because WO3 has only three scenarios, there cannot be much variety, and some players will inevitably feel that their personal scenario preferences were left out. With some players not liking complex elements like OBA or Air Support, and others preferring large scenarios or small scenarios, and still others preferring certain nationalities, or theaters, or AFV-heavy scenarios, or early war scenarios, or what have you, no mere three scenarios can match individual preferences well. Essentially, players should feel lucky if they like any of the scenarios when there are only three in the mix (a fact that puts a greater emphasis on the boards in terms of what value this product actually offers to the customer). The scenarios in WO3 reflect this dilemma. 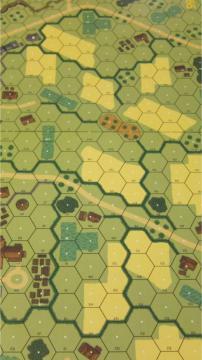 WO6 (The Heat is On) is a 1942 East Front scenario (using boards 57 and 65) featuring Soviets and Germans. 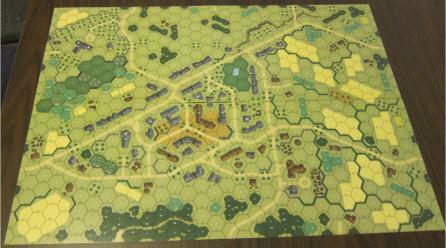 It is a large scenario, with 20 Soviet squads and 5 AFVs attacking 10 German squads, an 88 flak gun, and 4 AFVs. The Germans get a bunch of fortifications to help them out. Of the three scenarios, it probably has the most to offer. WO7 (Hell for the Holidays) is a 1944 “Bulge” action. Using boards 64 and 65, it pits 7 German squad-equivalents accompanied by 10 AFVs (including 6 halftracks) against 6.5 American squad equivalents, a small AT gun, and 4 light tanks. For obvious reasons, when compared to the other two scenarios, this was the scenario of the three that saw the most playing (by a large margin) at Winter Offensive. WO8 (Silent Night, Deadly Night) is, as its title suggests, a night scenario. It, too, is a “Bulge” scenario, utilizing maps 46 and 64. It pits 12 German squads and 3 AFVs against 9 American squad-equivalents, a halftrack, and an AT gun. It might not have been the best idea to include a night scenario in a mini-pack with only three scenarios, given how relatively few ASLers enjoy the night rules. It might have been better to have held on to the scenario for the next ASL Journal, when it could be presented along with more variety, and to have substituted another scenario for the mini-pack. Overall, this is essentially an okay product, but nothing special. Better use could have been made of a double-wide map than was used in this instance, and the inclusion of a night scenario in such a small product was a bit of a bummer. However, the price is right.